Bonneau Road off California Highway 121 turns rather quickly into a dirt track amid lush vineyards. Perched on a hilltop at road’s end sits Schug Carneros Estate, a 50 acre property with 200 additional acres under contract. Close to San Francisco Bay, this area of the Napa and Sonoma Valleys is cooled by ocean breezes, ideal for growing the pinot noir and chardonnay grapes so loved by 3 generations of Schug family winemakers. German-born winemaker Walter Schug immigrated to the United States in 1959, having completed a strict winemaker’s apprenticeship at nine wineries in the state of Hessen on the Rhine. Walter grew up on the Staatsweingut Assmannshausen, near the Rhine River town of Rudesheim in Germany. His father Ewald was the winery’s Director and General Manager from 1921 to 1959. There, he produced Pinot Noir from the time-honored Hollenberg vineyard, planted in the 12th Century by Cistercian monks who brought the vines from Burgundy. 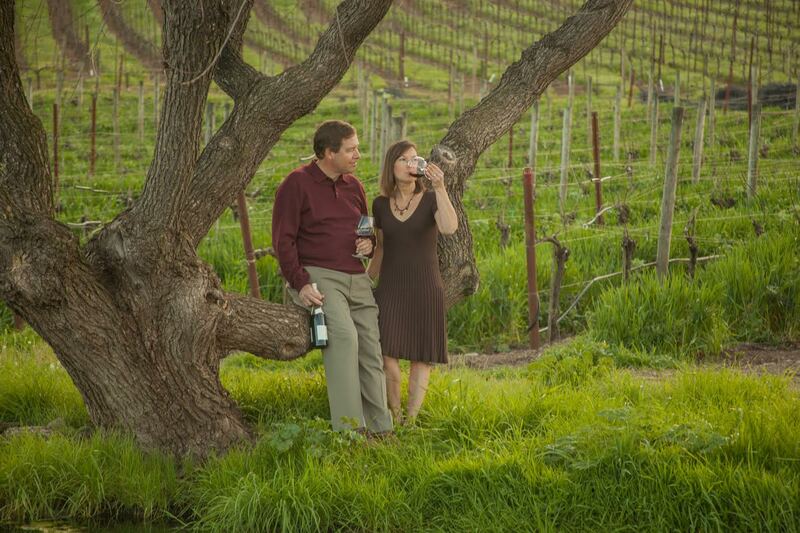 Arriving in California, Walter started a career with Gallo, overseeing production from multiple vineyards and growers. In 1973, he became winemaker for Napa’s prestigious Joseph Phelps Vineyards, where he crafted their legendary Insignia over the winery’s first 10 vintages. In 1980, Walter started his own label when Phelps discontinued Pinot Noir, a grape he felt he could not abandon given his heritage and upbringing. He left Phelps in 1983 to focus on his own brand, eventually moving to the Carneros region in Sonoma County. Today, son Axel Schug manages the winery, overseeing production and distribution of 40,000+ cases of pinot noir, chardonnay, sauvignon blanc, merlot, cabernet sauvignon and a delightful pinot noir sparkling wine called “Rouge de Noirs Brut“. Axel’s wife Kristine Schug is the winery’s chef and culinary director, pairing their wines with many cuisines from around the globe. Their children, Stephen and Elisabeth, are actively involved in the family business, as is Axel’s sister Claudia who lives in Germany. Join Axel & Kristine Schug on this voyage down the Danube, on an unforgettable sailing down the Danube River and Valley, exploring the paths of Roman legions, landscapes from the Sound of Music and historic villages of Austria and Hungary. The cruise is preceded by an optional 3-night stay in Prague. 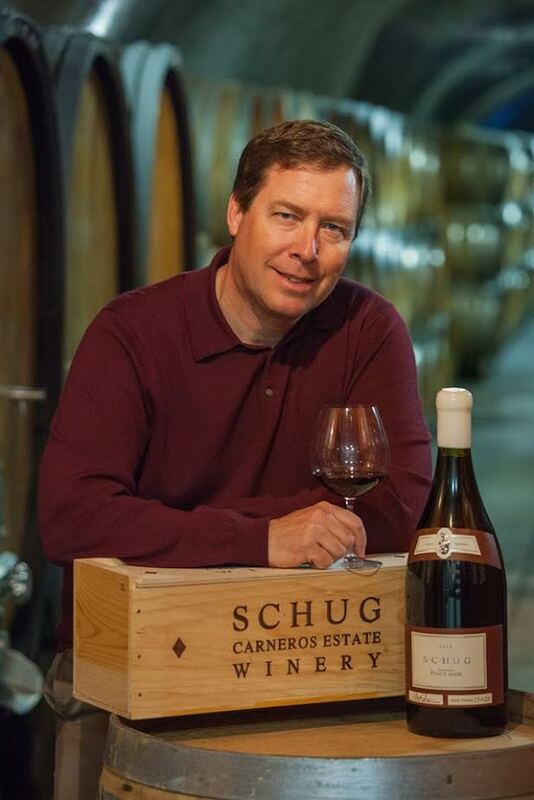 Schug Carneros Estate group members will enjoy special events on and off the ship, including a visit to a private Austrian wine estate. Please note: This Romantic Danube Cruise 2020 (hosted by Schug Carneros Estate) wine tasting tour is created by our tour operator, Expanding Horizons of Tustin, CA in conjunction with AmaWaterways. This is the most popular river cruise itinerary in Europe and will sell out. The pre and/or post-cruise tour program may contain private meals, tours and/or visits to attractions. These additional services are exclusive to guests on this cruise who book their reservations with Expanding Horizons. Persons booking with alternative travel agencies will not be included in these activities.